Debaco Responsive WordPress theme is a wonderful theme with 4 homepages. This theme spend for provide all kitchen appliance dealers, home utility showrooms, gallery service centers, kitchen equipment stores, cookery system dealers, kitchen storehouses and others offering the same service a simple, quick and affordable way to have a website. 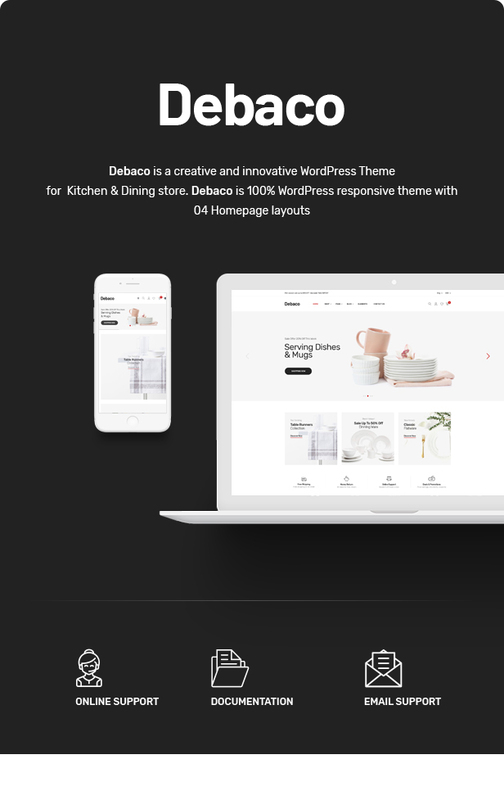 Debaco theme is totally responsive so it is completely adjustable for any devices (desktop, laptop, tablet, mobile phone) highly customizable WordPress theme. Debaco WordPress theme has both light background and clean layout will highlight your products. Firstly, Debaco has Full Width Sliders and Attractive Banners to showcase hot trend products or new arrivals to immediately approach customers. 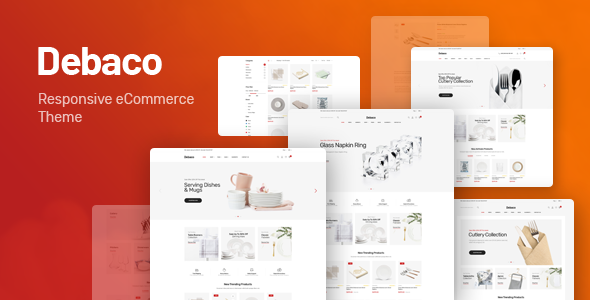 Secondly, Dabaco theme is built with outstanding Visual Composer to drag and drop elements and build websites in mere minutes. Moreover, it’s also integrated wonderful features as owl carousel, ajax add to cart, quickview,… all of these element give the whole theme a smooth sense. At footer, Social Networks and Mailchimp Newsletter are nicely displayed for consumer to track the store’s information as discount or program activities. Finally, Instagram is integrated to display Instagram photos from any Instagram account you own. Now, don’t hesitate to click on Demo to experience!